Give Kids a smile - givekidsadreams Webseite! At the Scholarship Award in Tân Châu, we reported on Ngọc Trâm, class 5B of the primary school Thạnh Đông B in Tây Ninh. Ngọc Trâm's parents died early in a traffic accident. 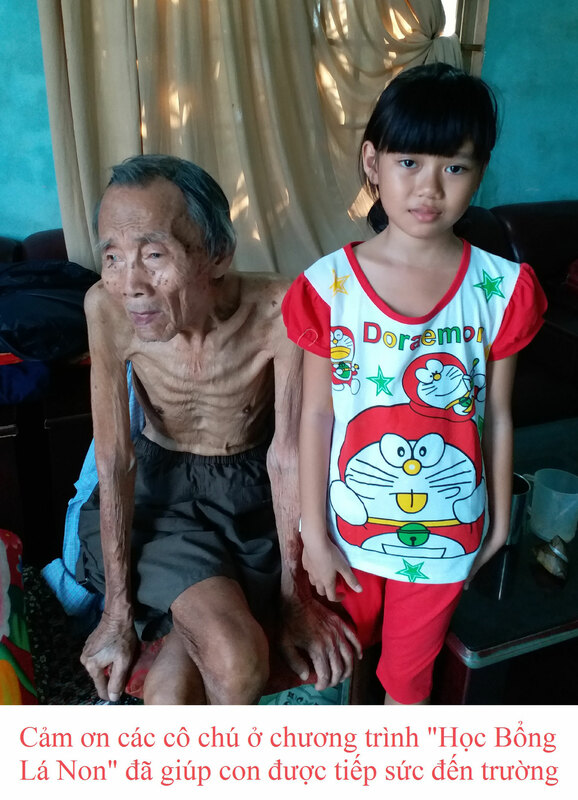 She and her 13-year-old cousin live with her 83-year-old grandfather, the grandmother passed away long ago. Ngọc Trâm cleans the house and cooks the rice, her cousin cooks the food. 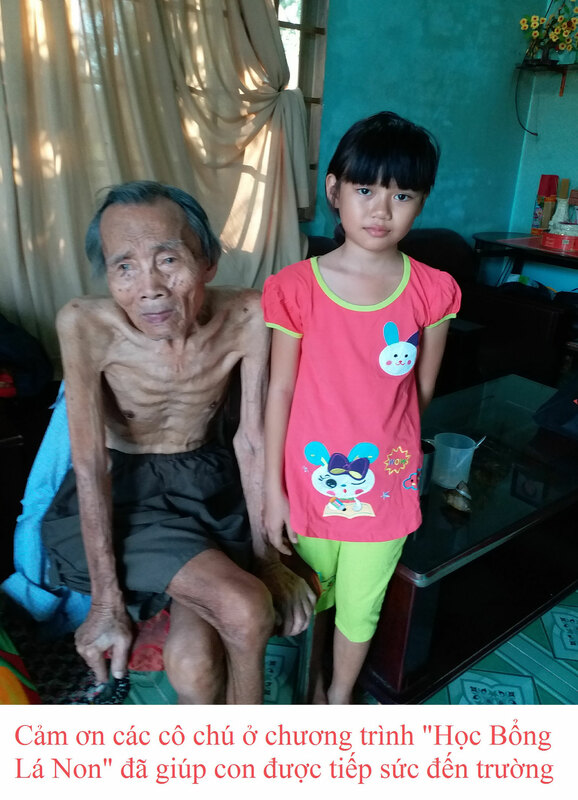 During the visit in March, Mrs Ninh Hồng noticed that her pants were wider than her, so Ngọc Trâm had to hold on to her waistband when she was standing. Therefore, we were very happy as her sponsor agreed to further support for clothing. 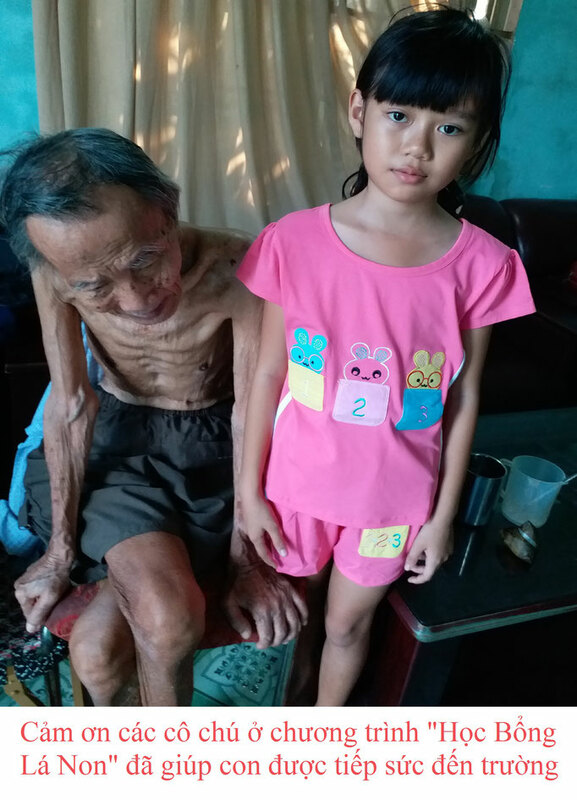 However, this was proving to be somewhat difficult as the grandfather does not know how to get the clothes, other relatives who can help live and work far away. We asked Mrs. Lan from the "Association for Promoting of Education" for further help. 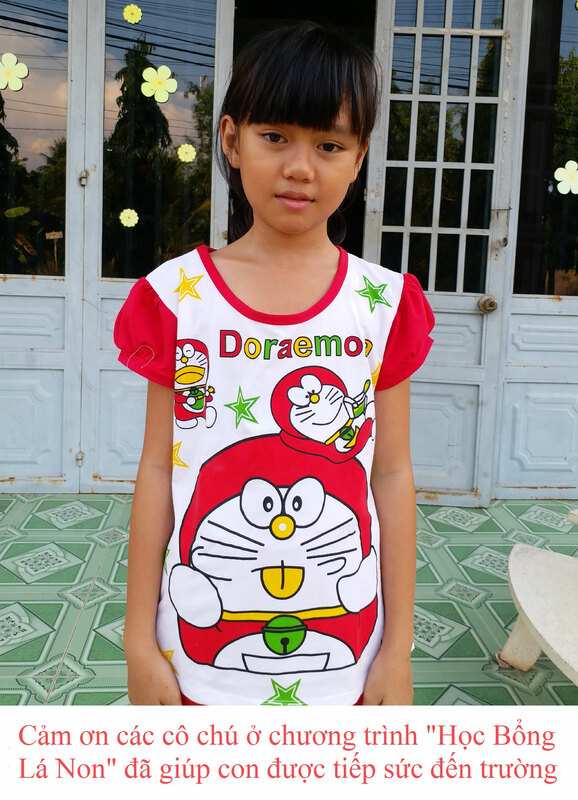 She contacted the school, the teacher and now Ngọc Trâm is really happy to have some new clothes. 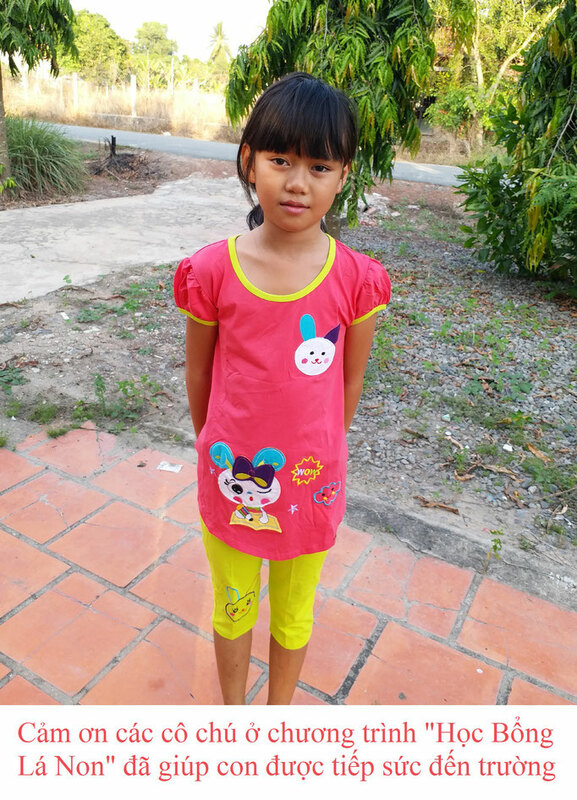 With the support of her sponsor, Mrs Lan from "The Association for Promoting of Education", teachers and helpers, the GiKaD team, Ngọc Trâm now got a smile on her face. There's nothing more satisfying than seeing a happy and smiling child. Please help us to make the world a better place! A big thank you to all uncles and aunts (vietnamese forms for the use of kinship terms for non-related persons as a sign of respect) of Greenleaves for your support, so that I can continue to attend school.